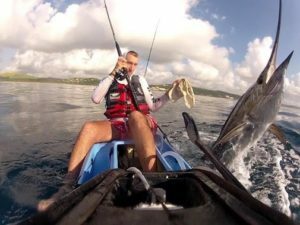 Kayak Fishing South Africa – Two kayakers fighting sailfish. Watch this amazing video of Jasper and his mate fishing off Durban South Africa where two Sail Fish are hooked and he donates one to his fishing buddy …..Caring is sharing!!!! !….Amazing footage.